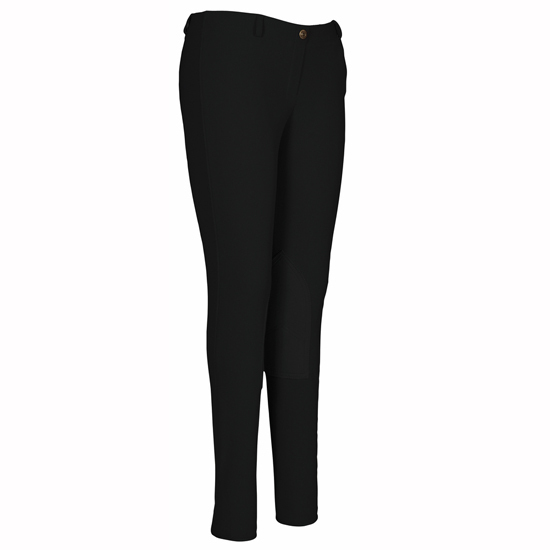 Ribbed breeches are durable and flattering. 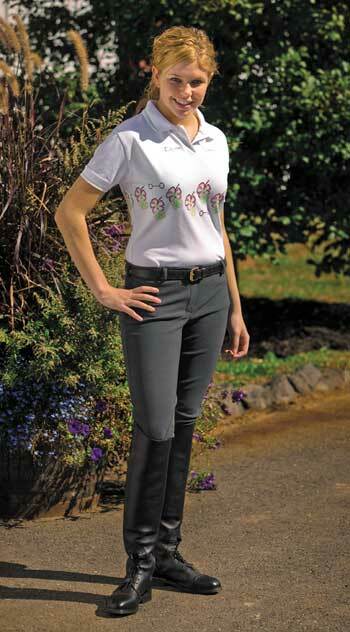 The fabric minimizes pilling and gives a great fit. 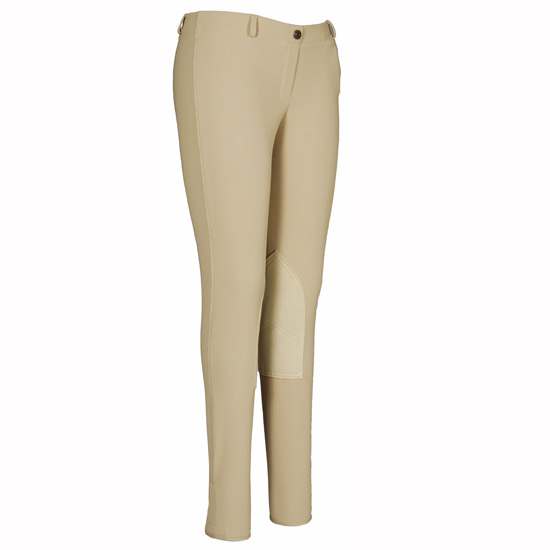 These breeches have a lower rise and feature UltraGripp knee patches, hook and loop ankle closure and belt loops.